Spurs Show LIVE attendees will know that twice a year we bring a hero, a god, a legend or a even two at a time to a dark room in London and ask them to open up about their time at Spurs, hopes for the future and meet us, the fans. 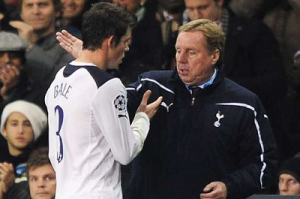 After Ledley, Ossie, Ricky, Glenn and Greavesy the name that most of you wanted to hear from was Sir Harry Redknapp. And we’ve got him for you! Tickets are limited, so don’t miss what is promising to be our best live podcast yet!